Busy summer has kept me from reporting on the thrilling happenings of Thrillerfest week in July. When you entered the Hyatt, you knew you were in the right place. Thrillerfest represents a unique opportunity to learn from, see, hear, and engage with, the top contemporary thriller/mystery writers all in one place. As a new writer, I go there to absorb lessons on how to go from A to B in writing, editing, publishing, and in getting traction in such a crowded, competitive, and confusing space. No matter how famous these authors are, they remain so generous in sharing their experiences, triumphs, and continuing battles. Looking around the audiences filling the hotel meeting rooms and ball rooms, you realize that authors come in all shapes, sizes, colors, and ages—an incredibly diverse pool of people who have stories to tell and sell. It’s at the same time encouraging and discouraging: So many authors and aspiring authors with unique stories (or so they are convinced) wanting to establish themselves in, on one hand, a shrinking traditional market, and on the other, a growing, but very complicated, ever-changing digital market. I came away energized, with tactical strategies on how to improve ever aspect of my mystery novel and how to approach the publishing scene. During the week, the authors in for Thrillerfest appeared at other events about town. I had the wonderful opportunity to hear Jenny Milchman and Catherine Coulter speaking at the Mysterious Bookshop on July 8th. Jenny was launching her new book As Night Falls; and Catherine was promoting her new book Nemesis. Fans, friends, and authors, who were in for Thrillerfest and showed up for this event, engaged in a lively discussion and actually bought the books and got on line to get authors’ signatures (see pic below). 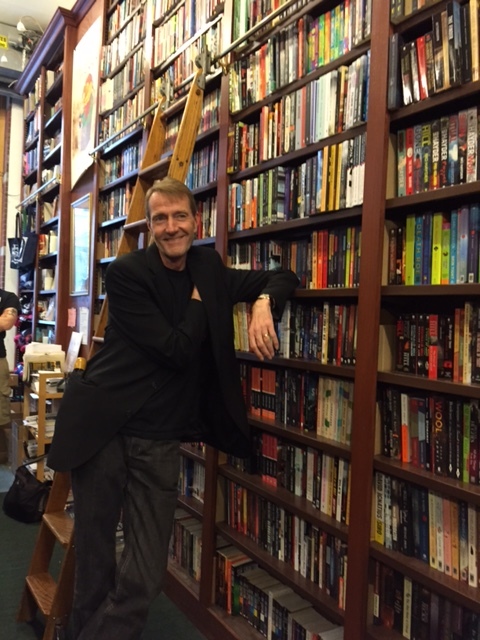 See picture below of Lee Child enjoying the presentation (who knew he had such a great smile!). I think that was Lee’s reaction when Jenny shared that her editors told her: “You are no Lee Child.” Lee, in addition to being the author of the Jack Reacher series, is also International Thriller Writers (ITW)Director and Co-President. 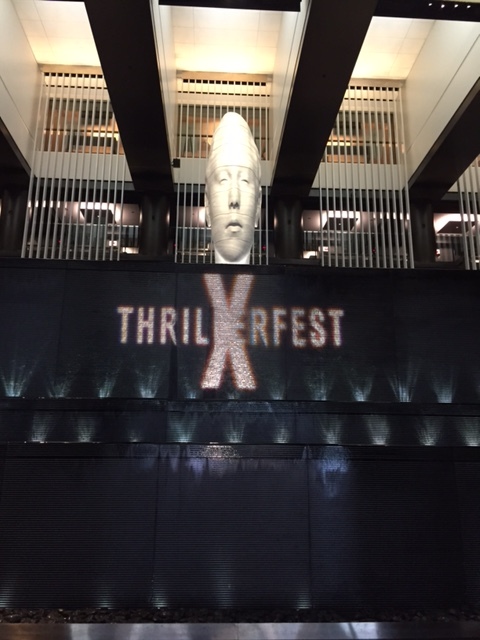 Book your calendars now for ThrillerFest XI: July 5-9, 2016, Grand Hyatt, NYC. Lee Child reacting to Jenny Milchman’s comments. « Big Week for Mystery/Thriller folks in NYC!